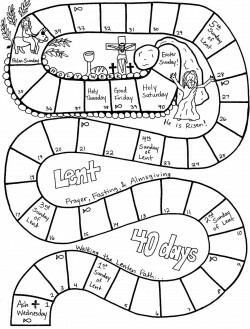 Lent used to be one of my very favorite times of year. I know…weird. But, honestly, I loved the structure and inherent “rules and regulations” that came with Lent when I was young. Having an OCD (Obsessive Compulsive Disorder) personality, I found the guidelines comforting. I need rules. I need structure, and order, and clear boundaries. Following them made me feel secure that I was doing okay. Growing up in my family, Lenten sacrifices and traditions were a family affair. Ash Wednesday WAS a holy day of obligation (although technically it is not, I don’t think my dad cared…it was definitely an obligation for us). We ALL fasted and abstained from meat, regardless of our age. There were no sweets in our house during Lent, as it was assumed you were to give that up…and then, you were strongly encouraged to decide what else you were going to ‘give up’ for God as well. I know that sounds kind of stern and controlling, but, well, I got my OCD from my daddy. To his credit, I also got my faith instruction from my father as well, and I did understand that I was supposed to do these things out of love for God. While I may not have had a mature understanding of how it helped, I did have a sense I was supposed to show Jesus that I knew He had sacrificed greatly for me, so I owed it to Him to make sacrifices to show Him I loved Him back. Well…not a bad understanding for a kid…but it was certainly full of pitfalls. I figured the more I sacrificed, the more loving I was. If I didn’t yet ‘feel the love’, I could at least ‘show it’ and maybe it would come. I wanted to love God and I wanted Him to know it. Problem is I spent years equating my success, or lack of success, in my Lenten practices to my success, or lack of success, in loving God. Being OCD, the effort and intent was not what counted, results did. Lenten sacrifices were never meant to be about what we do for God. We really can’t do anything for God. He doesn’t need anything. They are ways to ‘empty ourselves’ so that we can be filled with what He wants to give us – His Love. I wasted so much time mourning over my miserable failures when I secretly ate a piece of candy, or took a teeny, tiny little sip of soft drink, or peeked at just a minute of a favorite TV show I had given up from behind a corner where no one could see me. I just was never good enough, or strong enough, or devoted enough, or loving…well, there in lies the point! We are weak, and sinful, and lacking. EXACTLY!!! And so we need God desperately to be our strength, our healing and our remedy. It is in our failures that we recognize more clearly our great need for God. THAT is the genius of Lenten practices! Today, I still secretly resolve to abstain from some things at Lent, however, I try to avoid the OCD concentration on perfect success. I rejoice that God still loves me when I fail, and thank Him for reminding me that I am NOT perfect, but that HE is! I ask Him to fill my lack with his perfect love. I have turned more to Lenten practices that allow Him to do for me, rather than trying to prove anything to Him. (God doesn’t need proof of our love…He knows everything!) I avail myself to more spiritual reading and scripture, so I can fill myself with His word and inspirations. I go to confession so He can fill me with His forgiveness and grace to resist sin in the future. I attend Mass more frequently – so He can fill me with Himself! I find this a much more satisfying Lent – I’d rather empty my soul for Him to fill, than my stomach. Those practices are still good for ‘practice’. I exercise my “No” muscle in little things, so that if a big temptation (for sin) comes along, I’ve practiced, and can say no to myself more easily. I just wish I could be less “OCD” about the dirty socks my teens leave on the living room floor. Guess I might give up nagging about socks for Lent, too. Thank you, Ms. Debbie, I needed to hear that!